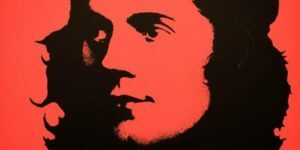 Join us on Saturday 9th February at 7.30pm in the Iron Horse, 115 West Nile Street, Glasgow, G1 2SB for food, drink and a workers celebration of a Scottish cultural icon and artist. Tickets: £10 a head. Available online from Eventbrite.